April’s all short (and not so sweet weeks) isn’t it? School holidays, public holidays … it’s the business-owning-mum’s nightmare isn’t it?! Anyway, staying with theme of ‘short’ I have exactly two links for you all today – but they are crackers! Now for the second link. Here, we are going from the sublime to the ridiculous but I heard this story on the radio this morning and HAD to share it with you guys. A singer in Russia is suing actress Mila Kunis for the punitive amount of $5000 because apparently, when they were kids, Mila stole her chicken. Why is this chick suing Mila? It surely couldn’t have anything to do with the fact that she (Russian singer) has just released a song and accompanying video clip? Surely? Now here’s what you have to do. 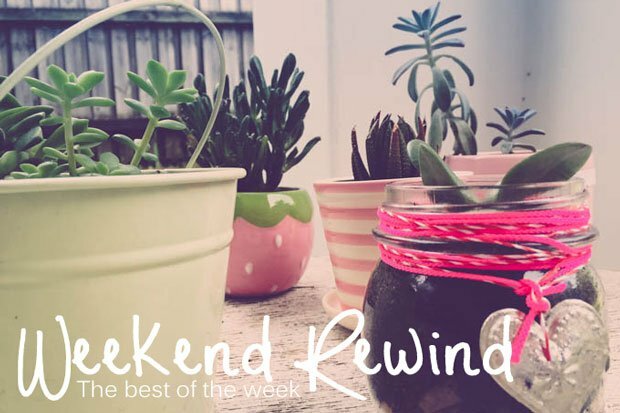 And yay, it’s Friday so it’s Weekend Rewind time with Bron and Sonia.